Nobody has the monopoly to paint, to put colors on paper or other medium. Erina Bektashi, who has painted colorful paintings to be displayed in this exhibition tomorrow, understood the existence of freedom in making art. She started painting or somehow coordinating colors, on canvases she bought one sunny day. She wanted to paint many things, portraits, trees, human figures, landscapes, as her heart is so vast and her imagination so wide, but then she found her comfort in colors. Her brush was mainly creating geometric shapes. Then the shapes were colored in all colors of the rainbow. 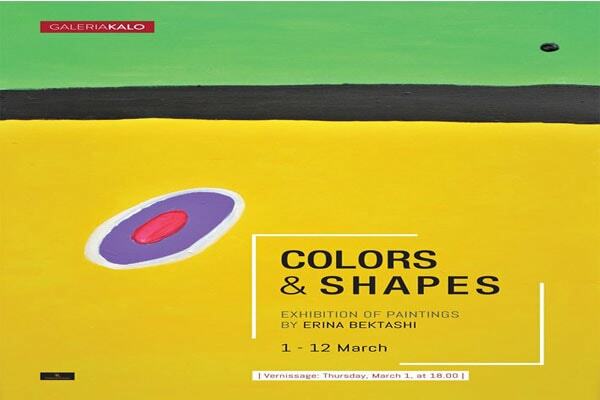 This is the reason why this exhibition got the title – COLORS AND SHAPES.